Ok, so…. 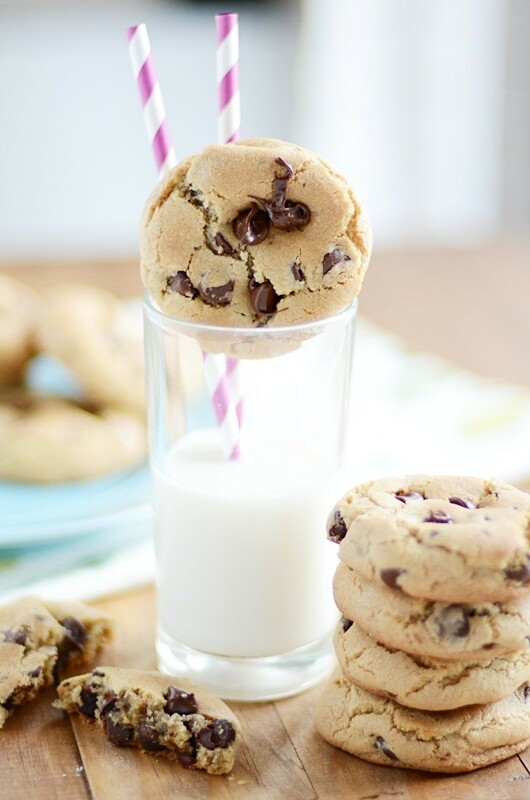 confession: the Chocolate Chip Cookie Experiment is sort of becoming a blur of chocolate chips. Never ending chocolate chips. Like…. alllllllllll the chocolate chips in the world. And, believe it or not, I’m not tired of the chocolate chip cookies. It’s just that I’m starting to have a hard time remembering them and ranking them in my mind. 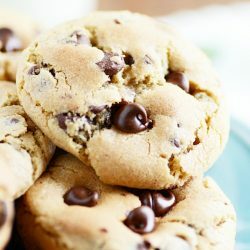 Most chocolate chip cookies are pretty similar in their basic make-up. But even little changes can make a difference between a pretty-good-cookie and the-best-cookie, which is the whole point of trying all these cookies– to find the exactly perfect recipe, right down to the last, miniscule detail. Sometimes, though… I can’t really remember the subtle differences. So you’ll have to forgive me if my descriptions of the cookies start to blur together. A lot of them are pretty similar. Plus, I’m living in a perma-pregnancy brain fog. Did you notice that these cookies made my top 5 ranking? #3 to be exact! Truthfully, there is nothing particularly special about this Food Network recipe for chocolate chip cookies. They’re very similar to the AllRecipes.com #1 recipe. But I still feel like they’re worth ranking towards the top, because it really is such a good, solid, and simple recipe. It should yield you a perfectly perfect batch of cookies every time without much fuss. And it’s a GREAT cookie that will hold up well to any additional mix-ins like M&Ms, peanut butter cups, nuts, and all sorts of other yummy things. 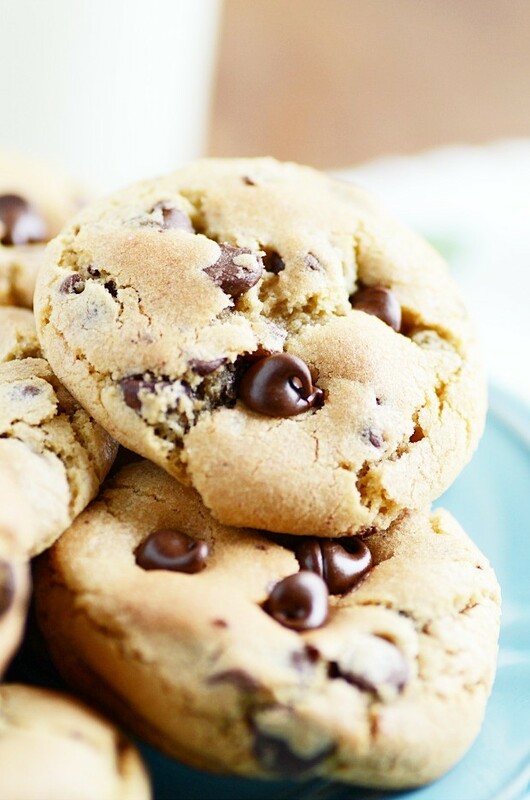 They’re soft in the middle, bake up to a perfect golden brown around the edges, and hold just the right amount of chocolate chips. You could play with this recipe a lot and always come out on the right side of things, for sure– a great staple recipe to keep tucked in your back pocket! 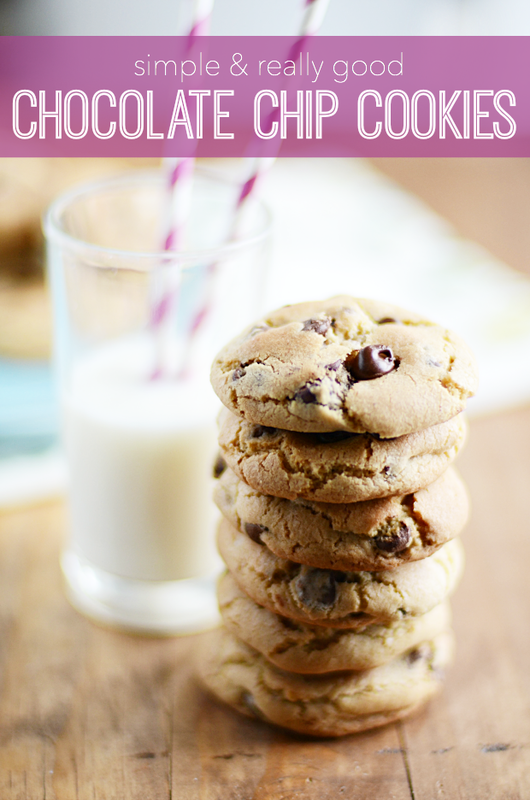 They're soft in the middle, bake up to a perfect golden brown around the edges, and hold just the right amount of chocolate chips. You could play with this recipe a lot and always come out on the right side of things, for sure-- a great staple recipe to keep tucked in your back pocket! Beat together the butter and both sugars until light and fluffy (2-3 minutes on medium-high speed). Add the eggs, one at a time, mixing in between each addition. Mix in the vanilla. Add the flour, baking soda, and salt. Mix until dough forms. Scoop two tablespoons of dough and roll into a ball. Place on the baking sheet, keeping dough balls about 2 inches apart. Bake for 10 minutes. Transfer immediately to wire rack for cooling.